We have always wanted to put your brand on the royal throne, and make you the King or Queen of your market. Help business customers get better branding and innovative marketing. 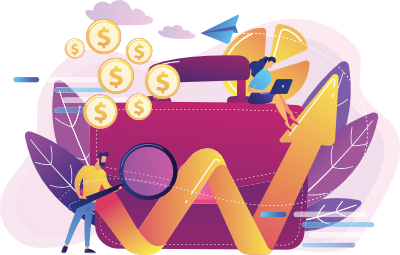 Make sales for our customers by giving them a substantial return, in an ad agency that provides on-time service with a value for money on investment. Provide a happy workplace for our dedicated graphic designers, social media experts, content managers, website designers, account managers and production managers. Be competitive with our opposition and provide world class marketing solutions that give us a competitive advantage. Be on the cutting edge of the digital marketing revolution, successfully transitioning our clients to the new digital marketing platforms and make the most of social media opportunities. Be fast, on time, on budget and making fantastic work at all times for our clients. Harness the internet for our clients and make them money. Be a great business that gives our clients innovative, outstanding advertising. Be an interface to the printing world, providing warranties for print work. Be an exciting social media content creation team. Provide intelligent access to the purchase of media from media companies. The Original Hero Photo Shoot That Launched the Kingdom in 2009. At The Kingdom, we drive sales growth for your business by implementing effective digital marketing and advertising solutions. We started positioning ourselves as one of Adelaide’s premier advertising agencies in 2009, and soon our social media expertise, content management excellence and amazing art direction allowed us to open our doors on Rundle Street in the heart of Adelaide. We first started on 199a Rundle, but are now located at 256 Rundle Street. From there, our status as an innovative Adelaide advertising agency earned us a place, twice, on The Pitch, the competition that puts Australian ad agencies against each other on The Gruen Transfer. With clever copywriting, art direction and production management, we won the 2011 pitch with our Bottled Air television commercial. Our team of talented graphic designers and digital experts were also awarded Shopping Centre Management Awards for our work with Jetty Road and Rundle Place, and received many prestigious AADC awards in numerous categories. The Kingdom has used its status as one of the best Adelaide advertising agencies to encourage the local community - in 2009 becoming founding members of the Champions Committee of OzHarvest Australia, a food rescue program. Since 2011, we have been strong supporters of The Quarter Club, helping athletes realise their dreams of competing in the Olympic games. In more recent times, Founder Adam Steinhardt has served on the Premiers Games Appeal Committee with many of Adelaide's prominent business people. We are big fans to our local community. Our sponsorship efforts have also included supporting the local Pembroke Old Scholars Soccer Club. Following the London Olympic Games, we have sponsored and managed Olympic Beach Volleyballer Becchara Palmer. Becchara is now part our team as a social media and digital marketing consultant. The Kingdom team loves watching her grow as a professional athlete - having just won the Australian Championship for the 5th time, Becchara is hoping to make her second appearance at the Olympic games in Rio, 2016, and The Kingdom is behind her all the way. In perhaps our finest achievement as an Adelaide Advertising agency, we were ranked by Campaign Brief in 2014 as the 2nd most creative agency in Adelaide. As an ad agency it was never our goal to be the biggest, but it certainly was our goal to be one of the most attractive and creative. Shopping Centre Management Award for Jetty Road. AADC Nomination for website creation of Glam Adelaide. AADC Awards in numerous categories. We appeared on, and won, the Gruen Transfer Pitch in 2011 with Bottled Air Commercial. We appeared again on the Gruen Transfer in 2012. We sponsored the AMI Marketing Week, 2011,12,13. In 2012, we took on Olympic Beach Volleyballer, Becchara Palmer, in her quest to go to Rio, 2016. In 2009, we were founding members of the Champions Committee of OzHarvest Australia, a food rescue program. In 2010, we sponsored The Quarter Club, a determined group of people working hard to send our Australian team to the Olympic Games and Commonwealth Games. In 2013, 2014, 2015 ann 2016 we sponsored the local Pembroke Old Scholars Soccer Club. In 2015, we have become HubSpot Certified Partners - one of Adelaide's leading HubSpot partners. Our journey as a HubSpot Platinum Certified Partner has been incredible, and we look forward to driving more sales for our customers with smart marketing, content, social media, inbound and digital marketing solutions. So why the change to a HubSpot Certified Partner in January of 2015? We are now a fully dedicated inbound marketing agency. The evolution from The Kingdom Advertising to The Kingdom, HubSpot Platinum Certified Partner, means we are now Inbound Marketing specialists eager to serve. So why did we change? The digital sands have meant marketing is shifting. Old ways of advertising are dying, as the digital revolution takes over. On seeing HubSpot in 2014, it made total sense. HubSpot is the love child of marketing and technology, which perfectly matches the skill set of The Kingdom. When in business they say that you should do what you are truly good at. Mar-Tech is what we are good at, inbound marketing makes total sense and HubSpot is the best automated marketing platform in the world. So, it was easy to change. 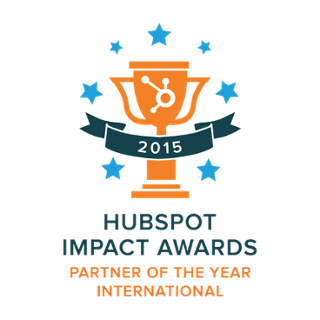 In our first year we won the HubSpot International Partner of the Year Award and HubSpot Rookie of the Year Award. We are now Australia's fastest growing HubSpot Certified Partner. We service Adelaide, Melbourne, Perth, Sydney, Brisbane, and Gold Coast businesses looking to get a competitive advantage using the HubSpot Sales CRM and Automated Marketing software platform. To find out about our first year as a HubSpot Partner, read the interesting case study about our year below.